Please note, for safety reasons, it is not permitted to drop off and/or pick up passengers in front of the terminal. 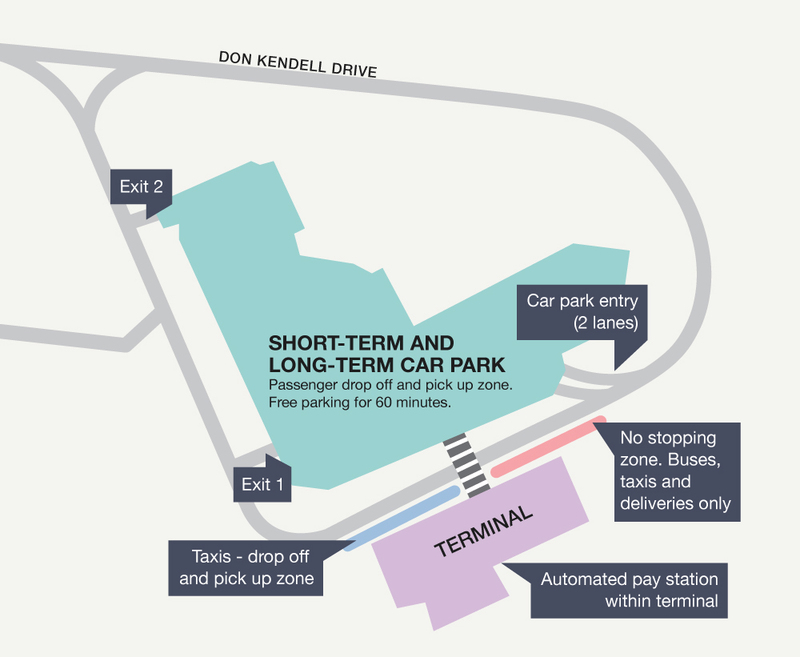 Drivers must park within the Airport Car Park. Parking charges will not apply for the first 60 minutes after entry to the car park. This allows ample time to drop off and pick up passengers.